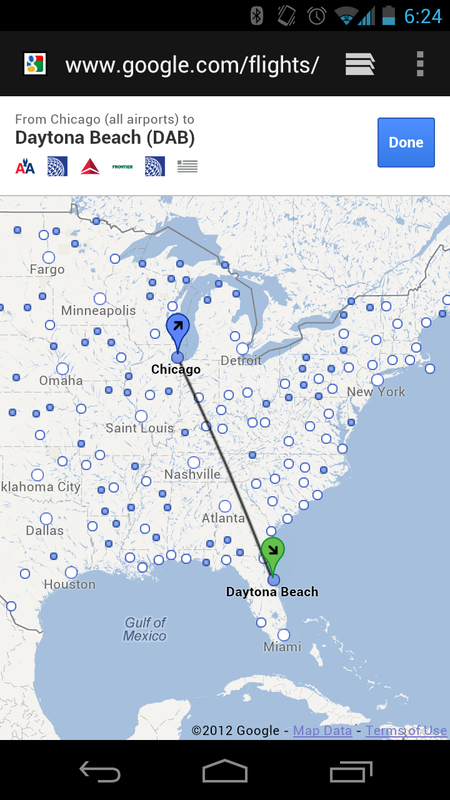 Google’s been having some fun with its flight search lately, it would seem. 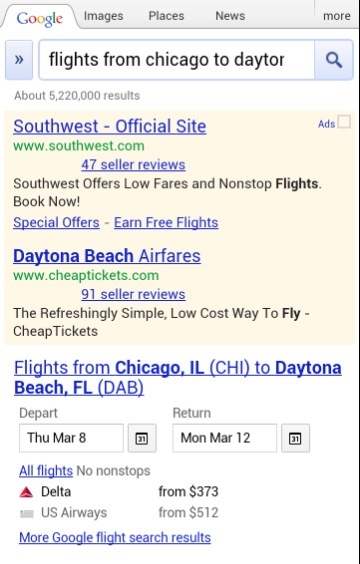 The company has just announced in a blog post that it has added even more functionality to the mobile version of flight search, bringing in some much-needed features. 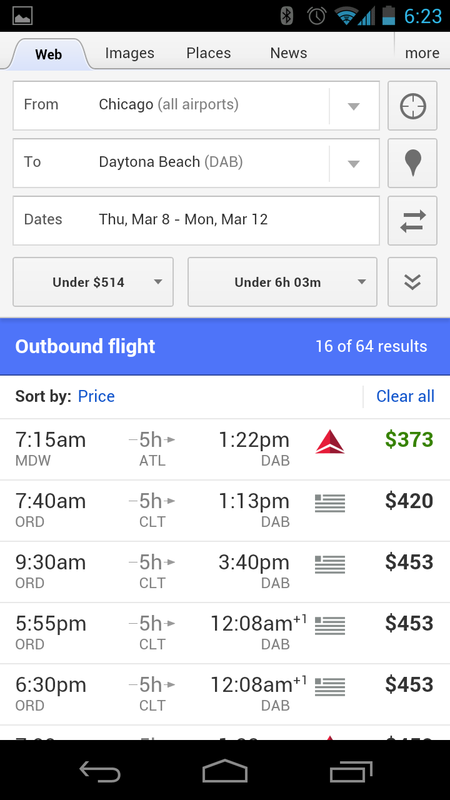 Now when you do a text-string search for a flight, something like “flights from San Francisco to Amsterdam in March” you’ll get results that allow you to customize them right on the page. Of course, you still get a listing of available flights, but now you can change dates right from the results screen, instead of having to progress somewhere else. 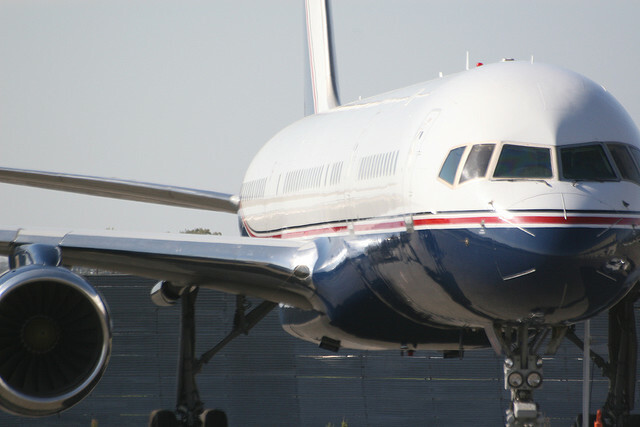 It’s a pretty handy change for the service, which is going head to head with other popular travel booking apps like Hipmunk and Kayak. With Google’s ITA acquisition, the company has been forced to play nice with data, so now it has to make sure that it’s selling itself on features.